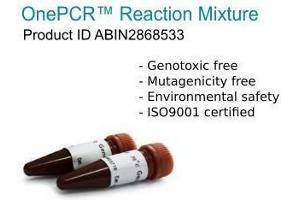 OnePCR Reaction Mix (ABIN2868533); PCR Mastermix for quick and easy PCR. 2. Mix gently. If necessary, centrifuge briefly. Cap tubes and place in the thermal cycler. Note: Optimal conditions for amplification will vary depending on the primers and thermal cycler used. It may be necessary to optimize the system for individual primers, template and thermal cycler. 4. 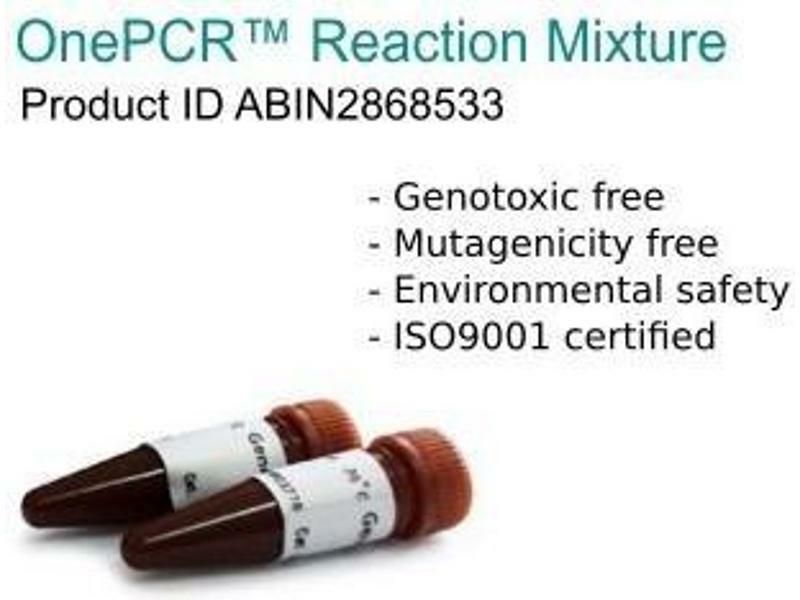 After the PCR reaction, RNA DNA electrophoresis will detect the PCR product. 5. Use the UV or blue-light transilluminator or UV epi-illuminator to photograph the gel. Note: When the DNA concentration is less than 4pg, it may cause the migratory shift when performing the electrophoresis. 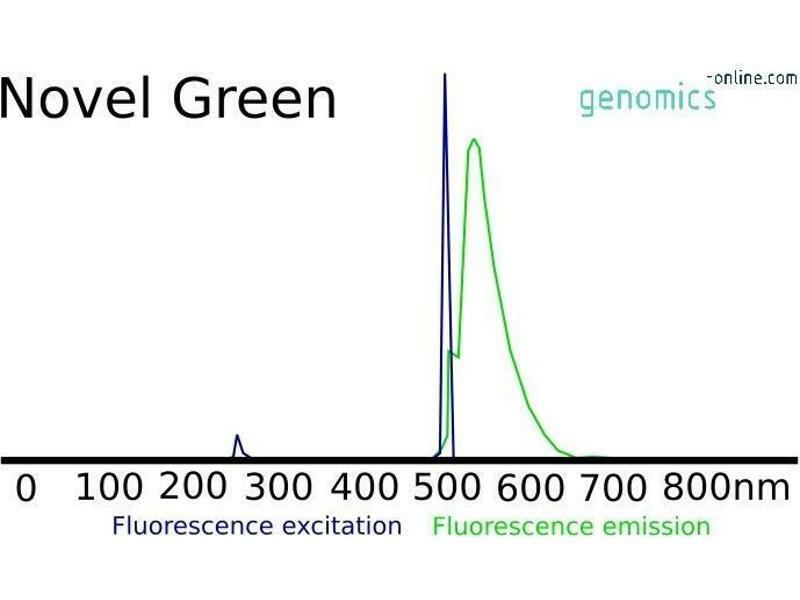 To remedy this observation, we recommend to conduct the following steps ( please refer to the experimental procedures), or use the PCR Clean-Up & Gel Extraction Kit to remove the Novel Green prior to post-staining with the Novel Green again for restoring the DNA molecular weight in the original position. 1. 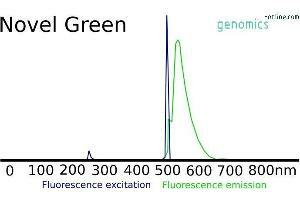 Immerse the PCR product containing the Novel Green into the 100 mM NaCl and add 2.5 volumes of absolute or 95 % ethanol. 2.Incubate on ice for 20 minutes. 3.Centrifuge the mixture at 4 °C for at least 10 minutes. 4. Remove the suspension of ethanol and wash the pellet with 1 mL of 70 % ethanol. 5. Dry the residual ethanol and resuspend the double-stranded DNA in the TE. Precaution of Use May be irritating to the eyes and respiratory tract. Components of the product may beabsorbed into the body through the skin. Harm may be caused to the digestive tract if swallowed.Caution: Avoid inhalation, ingestion, and skin contacts. If swallowed, rinse mouth and throat thoroughly with water. Inhalation: If inhaled, remove victim from area of exposure. Skin contact: Wash immediately and thoroughly with plenty of water. Eye contact: In case of contact, wash immediately and thoroughly with plenty of water. Consult a doctorin the event of any complaint. Storage Comment Store at 4°C for up to 6 months and at -20°C for up to 1 year.